When you’re planning a major development project, being able to turn land surveys around quickly can be a major challenge, particularly when the project requires you to gather data in a remote or hard to reach location. When using traditional land surveying methods, getting the data you need from these out-of-the-way places can often take significant time, which in turn can push back the start date of your development work and make you wait longer to start seeing a return on your investment. Fortunately, thanks to commercial use drones, it’s possible to overcome these challenges. The growing popularity of UAV surveying is not difficult to understand. As you may have heard elsewhere, an aerial survey can provide quick, cost-effective and accurate land surveying results no matter where your project is located. However, the benefits of UAV surveying for projects in hard to reach areas deserve special recognition. This post will cover the current state of traditional surveying methods– before taking a look at how UAV surveying can provide a better way. The two primary drawbacks of traditional surveying methods when it comes to projects in difficult to reach areas are speed and safety. Looking at the situation logically, there’s simply no way that traditional land-based surveyors can complete their work in hard to reach areas in a timely manner. First of all, there’s the simple matter that the surveyors themselves must be on site in order to complete their work. This often means that a long and difficult journey must be completed before the surveyors can even begin gathering data. In addition, even after their work is complete, more time is required to assemble the results of their work and deliver them before the site can progress. 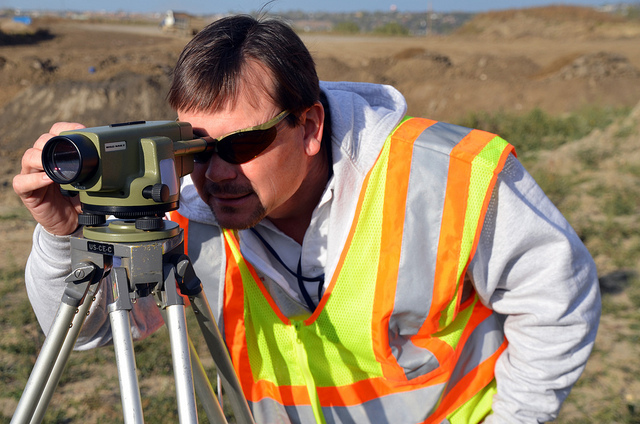 If a developer’s primary responsibility is for the safety of everyone involved with their project, traditional land surveying is once again a major area for concern. When land surveyors have to cross difficult terrain in order to complete their work, they are putting themselves at risk. In addition to the obvious human costs involved with a major land surveying accident, there are also possible delays and liability costs to be aware of. No matter how you look at it, requiring land surveyors to be on site in difficult to reach areas is a large risk, particularly when there is a better option available. That better option is an aerial survey based on UAVs. Since these UAVs do not have to travel over land in order to conduct data gathering in difficult to reach locations, they run into none of the issues that traditional land-based surveyors face on a daily basis. 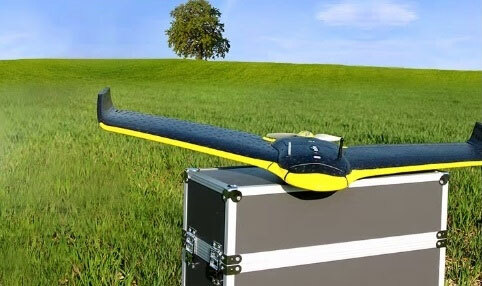 UAVs can travel as the crow flies, meaning that long distances and difficult terrain need not cause significant delays. As data is collected, UAVs are also able to make it available to teams back on land quickly, often within the span of a few short hours. In addition, UAV aerial surveying comes with none of the safety concerns found in traditional land surveying. Instead, surveyors are free to keep their feet planted firmly on the ground, removing a major source of risk and complication. 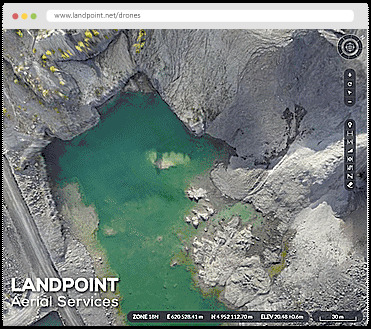 Finally, it’s worth pointing out that UAVs are able to provide better results than an aerial survey performed by manned aircraft. This is because UAVs are able to get closer to the ground, insert themselves in tight spots, and hover closely without having to worry about putting the lives of passengers at risk. 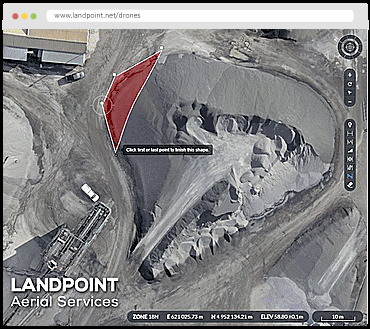 To learn more about the topic of UAV surveying, read the ebook from Landpoint.